Buy this item and earn 249 ClubPoints. BrightSign's fully featured commercial-grade player provides a far superior alternative to the consumer devices sometimes chosen for price-sensitive installations. 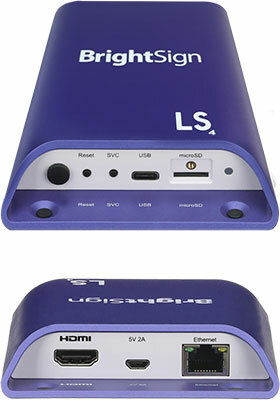 Based on the award-winning BrightSign HD platform, LS424 delivers BrightSign's signature reliability and afordability. A robust feature set, including H.265 and Full HD video decoding, entry-level HTML5 performance, USB 2.0 (type C), and networking, is provided in a very small form factor. The small form, commercial-grade BrightSign LS424 is fully featured to run circles around the competition. Network connected and featuring H.265 and 1080p60 video playback, entry-level HTML5 support and USB (Type-C) interactivity, this model is perfect for simple streaming applications and large deployments of common content. • Abundant content support including Full HD video, images, HTML5, Live TV, audio, text tickers, Live Text, RSS feeds, date/time widgets and more! 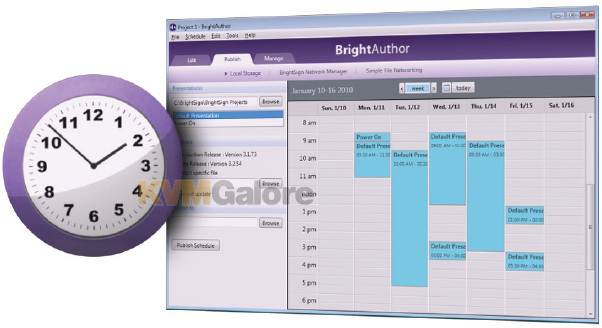 • 3rd party schedule feeds: Connect to virtually any database to display up to the minute details. Perfect for flight timetables, event schedules, corporate statistics, etc. 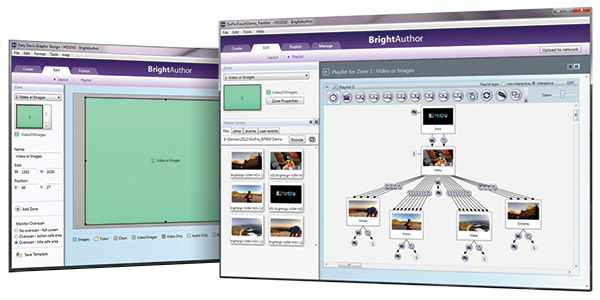 • BrightSign Network Enterprise Edition: Installable software version of the BrightSign Network. Allows you to host a network instance on your own servers, with access to all BrightSign Network features. AutoWall is a powerful new feature that embraces the power of HTML5 to create unique multimedia video walls with ease. 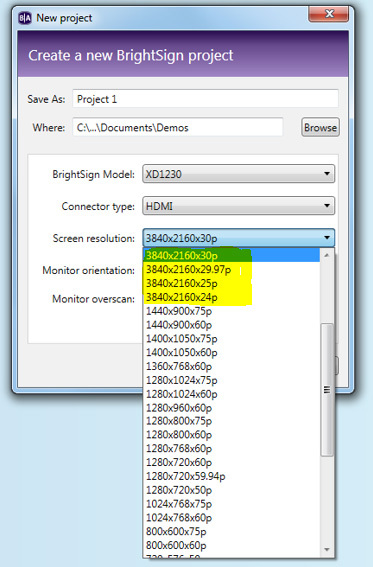 AutoWall includes a BrightAuthor Plugin Kit that allows users familiar with creating HTML5 content to build video walls that automatically scale to the number of players connected and supports a wide array of multimedia content including video, images, tickers, live feeds & HTML5 widgets. 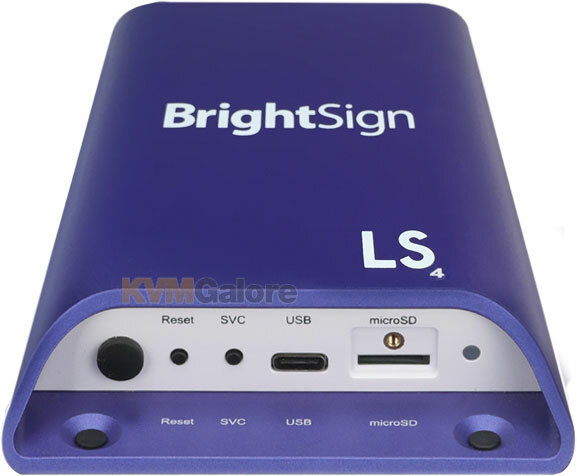 Listed below are additional products to consider which are compatible with BrightSign LS424. These items may be required to complete your system.